CARFAX One-Owner. Pearl 2018 Chevrolet Malibu LT 1LT FWD 6-Speed Automatic 1.5L DOHC CLEAN VEHICLE HISTORY, ONE OWNER, 120-Volt Power Outlet, 6-Speaker Audio System Feature, Convenience & Technology Package, Driver Confidence Package, Driver Information System w/Color Display, Dual USB Charging-Only Ports, Following Distance Indicator, Forward Collision Alert, Front & Rear Park Assist, Front Pedestrian Braking, Inside Rear-View Auto-Dimming Mirror, IntelliBeam Automatic High-Beam Headlamps, Lane Keep Assist, Leather-Wrapped Shift Knob, Low-Speed Forward Automatic Braking, Preferred Equipment Group 1LT, Radio: Chevrolet MyLink AM/FM Stereo w/8" Screen, Rear Cross-Traffic Alert, Remote Vehicle Starter System, Side Blind Zone Alert w/Lane Change Alert, SiriusXM Satellite Radio, Wireless Charging For Devices. FREE CAR WASHES !!! FREE LOANERS !! !Prices valid for 24 hours. Recent Arrival! 27/36 City/Highway MPG All price do not include taxes, title, license, prep, doc fee, warranties or packages. While we try to ensure online merchandising accuracy;dealer not responsible for website errors. Please call to verify price. Prices valid for 24 hours. When you choose a pre-owned model like a used Chevrolet Malibu, you’ll get a rock-solid vehicle at an unbelievable price. Not only will you enjoy the many comforts and conveniences of the best-selling Malibu lineup, but you’ll also save tons of money by buying a used model. Everything from sticker price, down payment, sales fees, insurance costs, and more are reduced when you opt for affordable used cars! Ready to find your match? 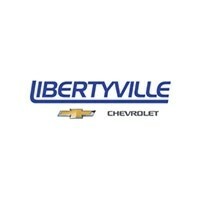 Check out our used cars under 15k available at Libertyville Chevy or contact us with your questions for more information.